Location, 3 walking minutes from a thrilling swimming platform. Extremely clean. Really very clean. Friendly host. 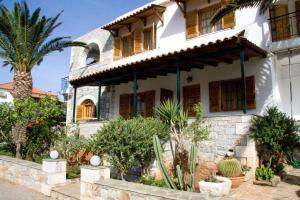 Peaceful location yet close to harbour, tavernas etc. Quiet location. Fantastic host. Super clean and a great place to go on holiday. The location was great. Garden full of flowers and fruit trees. Very peaceful but only a few minutes walk to harbour/tavernas/bars. Freundliche Gastgeberin. Sauber und tägliche Zimmerreinigung. Ruhig. Herrliches Apartment in wunderbarer Lage. Reizende Vermieter, die sich sehr freundlich und auf äußerst angenehme Weise um alles gekümmert haben. Extrem sauber, Handtücher und Bettwäsche in zwei Wochen mehrfach gewechselt. Absolut empfehlenswert. 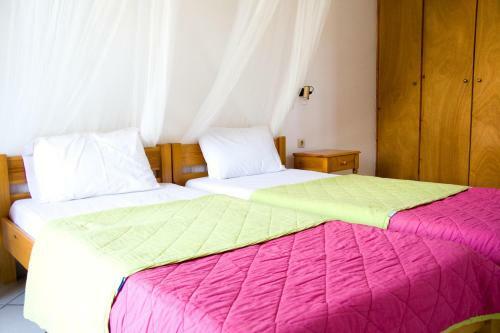 Lock in a great price for Anna Maria Studios – rated 8.8 by recent guests! 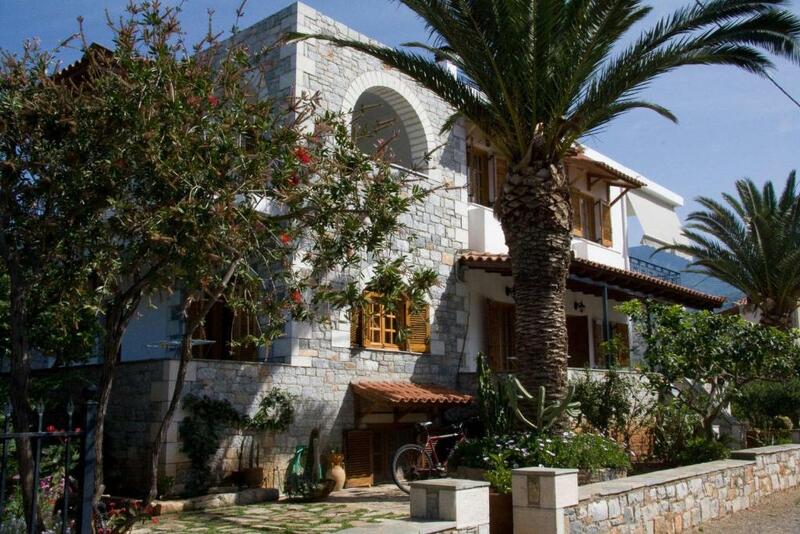 Anna Maria Studios is located in the fishing village of Agios Nikolaos, 500 feet from Gnospi Beach, just a 2-minute walk from taverns and shops. 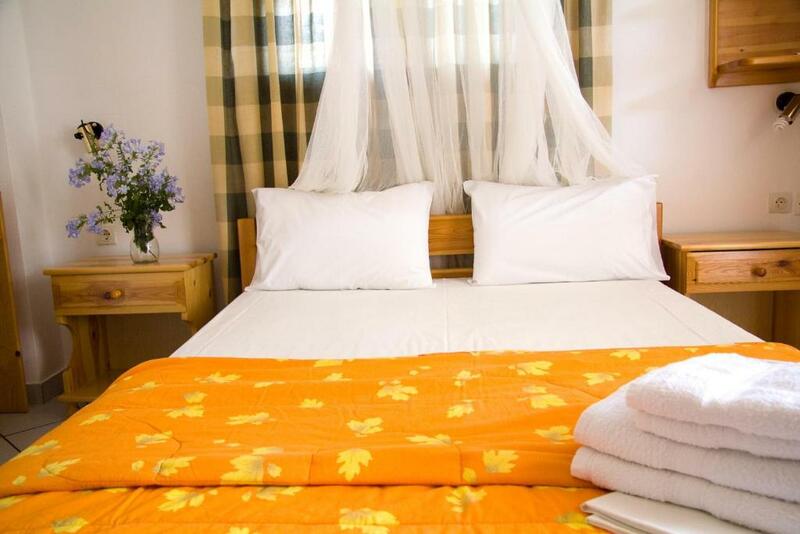 It offers self-catering accommodations with free WiFi and balcony overlooking the garden or mountains. A kitchenette with cooking facilities, dining area and coffee machine is included in all accommodations types at the Anna Maria Studios. Each has a TV and a private bathroom also with shower. Air conditioning is included. Stoupa with its well-known beach is 2.5 mi away. The scenic Kardamili village is within 6.2 mi. Kalamata is 29 mi away. Staff can arrange car rental and free private parking is offered on site. When would you like to stay at Anna Maria Studios? 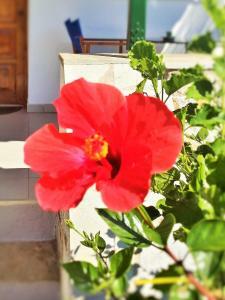 328 feet from the beach, this air-conditioned studio offers free WiFi and balcony overlooking the garden or mountains. 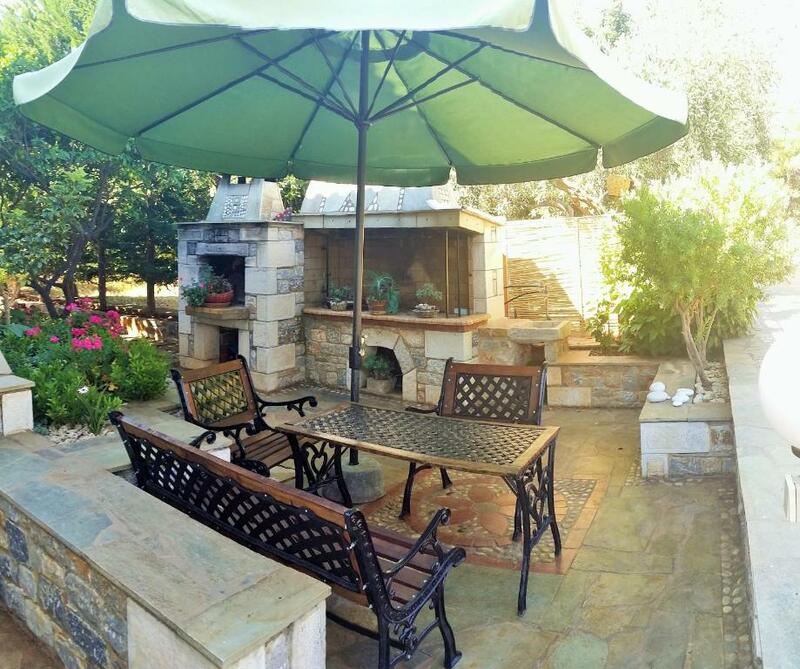 A kitchenette with cooking facilities, dining area and coffee machine is included. 328 feet from the beach, this spacious, air-conditioned apartment offers free WiFi and balcony overlooking the garden or mountains. A kitchenette with cooking facilities, dining area and coffee machine is included. This apartment has a garden view, toaster and private entrance. House Rules Anna Maria Studios takes special requests – add in the next step! Anna Maria Studios accepts these cards and reserves the right to temporarily hold an amount prior to arrival. 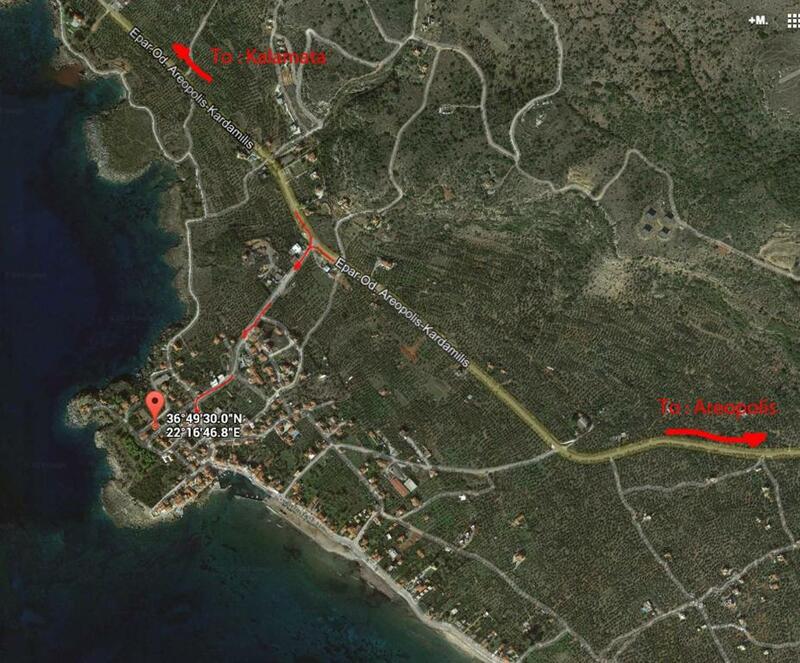 Please inform Anna Maria Studios of your expected arrival time in advance. You can use the Special Requests box when booking, or contact the property directly using the contact details in your confirmation. The concrete structure can get quite hot during the summer time, and the single aircon was struggling to get the temperature down at the whole 1 bedroom flat. No mosquito screens on windows (am not a fan of the over-bed-tent-type). The light above the door from the emergency exit sign was a bit bright at night...but is presumably required by law! The signage locally to help find the property could be improved and made clearer. The parking, whilst right next to the property was narrow to enter especially when 4 or more cars are parked in the parking. No real issues here, no point moaning when I had no concerns. The one and only thing we could complain about - and we didn't because we know it can be the same all over Greece! - is the water pressure!